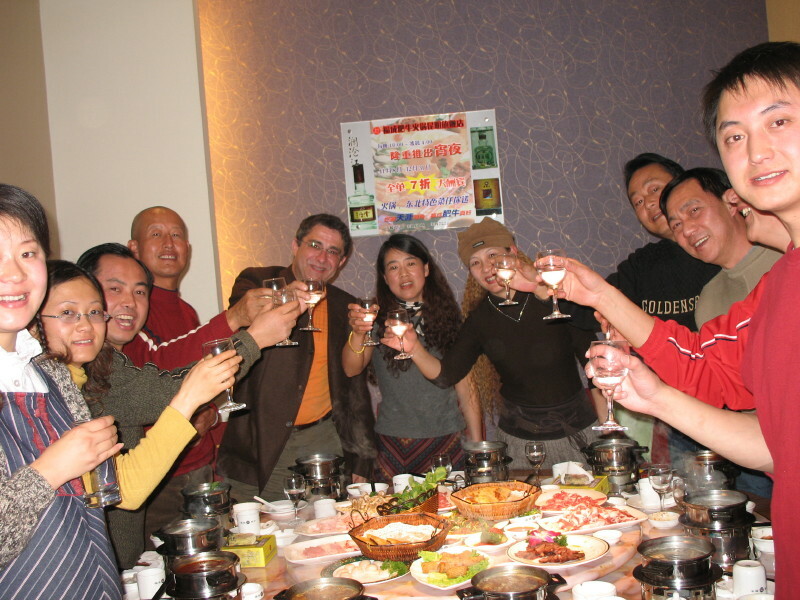 Tonight, I invited my new friends to a nice dinner in Kunming. Several of them speak very good English and they are all very interesting people. They are all very nice people who have welcomed me as their new “American friend” . I hosted this dinner of about 20 courses including wine and “Chinese water” which is a 50% rice alcohol drink, not tasting anything like sake. The food is amazing! All these people are “very high” in the Kunming community. They include a dentist, doctor, scientist, chief narcotics customs officer, travel agent, government officer, nurse and university professor. 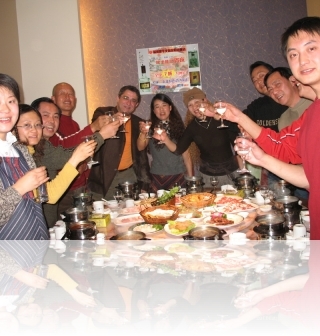 We had a great time in our private party room, and I am learning quite a lot about the Chinese culture. I find the people very warm and open. They all are happy to “look after me” and help me to adjust to living here in China. The pic is one of many “Gambei’s” (toasts). I was required to toast each one individually as well as all together. Of course they in turn must each toast me. I might add that a Gambei is not accepted if you do not drink the entire glass at each toast! I must turn my glass upside down each time to be sure nothing drips from the glass. If it does, I must do the toast again! After several hours of dinner, I settled the bill ($58.75) and slowly found my way back to my apartment. My policeman friend assured me that he would “cover me” if I was stopped on the way home. Actually I decided to stop for some coffee at the City Garden Cafe next door before driving anywhere.